The St. Tammany Parish Sheriff’s Office will join other South Louisiana law enforcement agencies in celebrating National Night Out Against Crime on Tuesday, October 16, 2018. 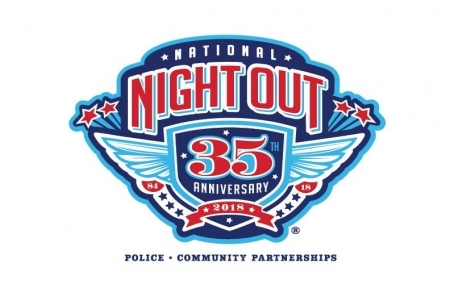 Numerous National Night Out parties will be hosted throughout unincorporated St. Tammany Parish. National Night Out is a nationwide crime prevention event. Traditionally, the event is held during the month of August, but due to the extreme heat, some areas of the country, many locations have changed the date to the month of October. The night is designed to heighten crime prevention awareness, increase neighborhood support in anti-crime efforts, and unite our communities. It is a great chance to learn about crime prevention, while also celebrating your community and spending time with your neighbors and local law enforcement. Representatives from all of the various divisions within the STPSO will be participating in this year’s National Night Out Against Crime, and Sheriff Randy Smith and his deputies will make an effort to attend as many parties as possible throughout the parish to meet residents and share crime prevention and awareness tips. 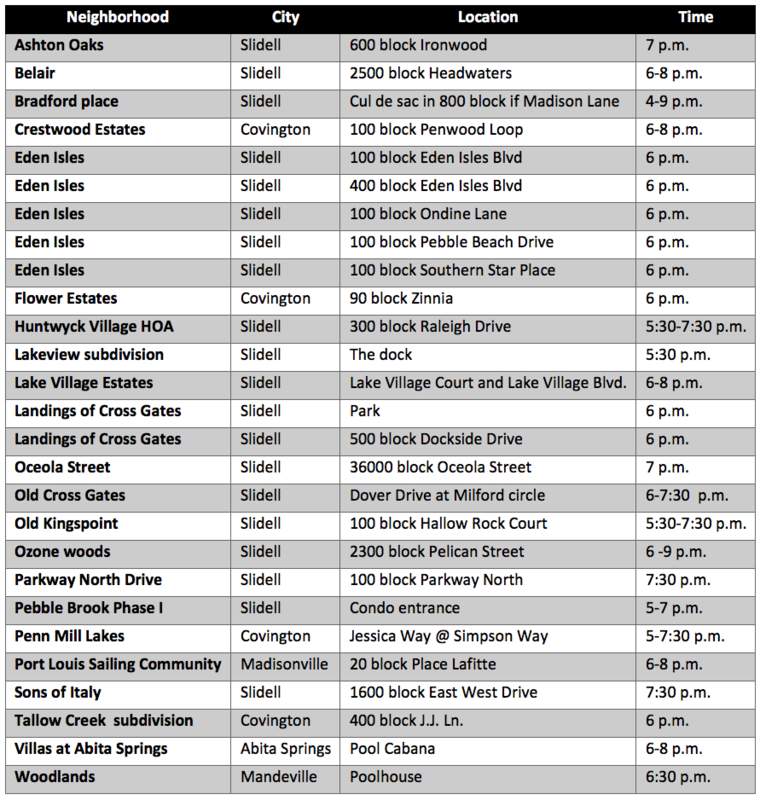 Below is a list of registered block parties in unincorporated St. Tammany Parish. Sheriff Smith encourages everyone to get and get to know their neighbors Tuesday evening.